Powder coating is a dry finishing process that has many benefits such as high impact resistance, consistent texture, durability, scratch resistance, and is environmentally friendly. Powder coating has thousands of color and texture options which can be used as a decorative and protective/functional finish. 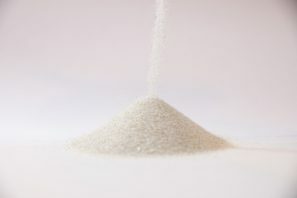 It is generally used on metallic surfaces, such as steel and aluminum. 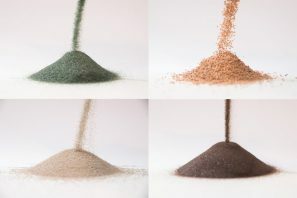 To learn more about powder coating, please visit Powder Coating Institute’s “What is Powder Coating” page. BOOTH SIZES: 13′ W x 9′ H x 30′ D and 6′ W x 8′ H x 8′ D. OVEN SIZES: 8′ H x 10′ W x 29′ D and 8′ H x 8′ W x 26′ D.
Garnet is a naturally occurring stone. It is very hard and clean and recycles well. 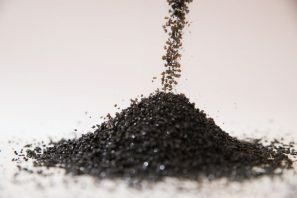 Because it does not fracture as much as a slag products do it is a good choice for blasting softer materials like aluminum, brass and even cement. Black Magic is a Coal Slag. It is usually considered a one shot abrasive but can be reused a couple of times. Main users are ship yards to blast hulls of ships and contractors use it on bridges, water tanks, large fuel tanks, and steel structures. 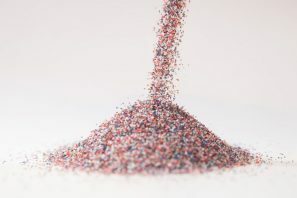 Plastic media is considered a non-destructive abrasive. It is very soft and recycles well. It does not affect the surface being blasted and will not profile. It is strictly a coating removal process. Plastic will also not remove rust. Most common uses are vehicle restoration, air craft components, and very thin materials. Glass bead is a spherical product. It is used in peening processes and polishing. Usually used on stainless steel components but can be used on a wide range of applications. 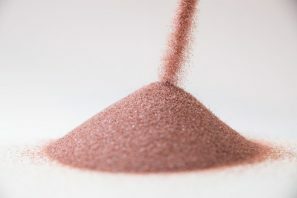 Other abrasives available include: Steel shot and grit, crushed glass, starblast, aluminum oxide, silicon carbide, walnut shells, corn cob, pecan shells, green diamond, and ceramic. Skagit Powder Coating Inc. takes pride in every job, large or small. Family owned and locally operated out of West Mount Vernon, we value our customer's satisfaction and do our best to fit your needs. 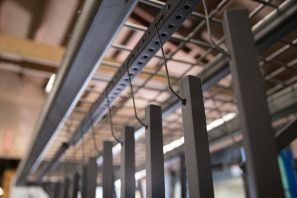 We have been providing quality powder coating services to retail customers as well as commercial customers throughout Washington State since 2002. Hours of Operation: Monday through Friday 7 AM – 4 PM and Otherwise By Appointment.